Summer in Japan consists of many hanabi, or firework festivals, that take place all over the nation. 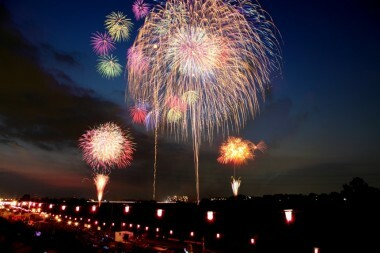 Unlike other countries, Japan almost exclusively hosts firework events during the months of July, August and September. 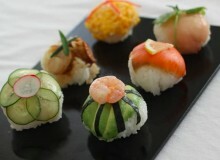 This annual entertainment extravaganza has become a summer tradition that has a long history with Japan and its people. 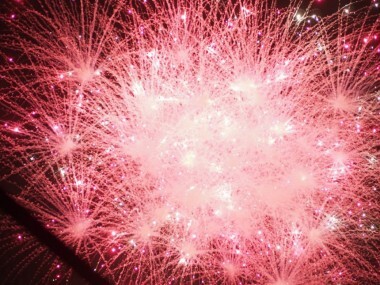 Japanese fireworks are known for their spherical style, emphasizing the simplicity of the firework itself. The usual hanabi festivals tend to last about two hours, where viewers relax and enjoy the night with snacks, beer and close company while gazing at the night sky. Many people attend the festival clad in yukata and jinbei. 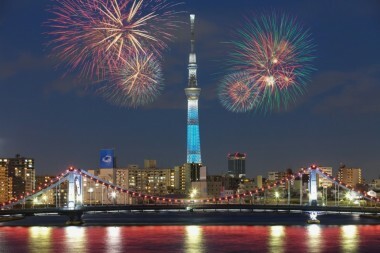 Listed are some of the best and most beloved hanabi festivals in Tokyo and the Kanto area. Located on the Sumida River, this festival is one of the most popular hanabi festivals, attracting about one million people each year. This traditional event dates back to 1733 when it started during the Edo period and has since remained the main fireworks festival for the people of Tokyo. The beautiful alignment of the fireworks with the newly built Tokyo Skytree matches perfectly in the old heart of Tokyo, combining the traditional fireworks with modern architecture. The Sumida event has many viewing spots on river boats, rooftops or simply on the streets… However, pre-planning is a necessity since this festival does attract more people than any other hanabi festival in the city. The event will take place on July 28 from 7pm to 8:30 PM. 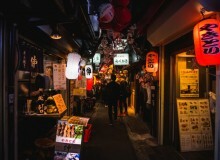 The closest station is either Asakusa or Kuramae Station. This festival is renowned for its “No. 15” firework, which is also known locally as the “Niagara Falls.” This particular type of firework is one of the biggest in size and has a long downfall, stretching to approximately 700 meters long. The Itabashi Festival lasts about 90 minutes, giving viewers plenty of chances to enjoy the beautiful No. 15 firework. You can also reserve seats for the event if you’re visiting with a larger group or with your family. The festival will be held on August 4 from 7pm to 8:30pm. The closest station is Nishida Station. This fireworks festival and concert is a night full of entertainment with Japanese artists such as Puffy, Crystal Kay and m-flo. It features fireworks, concerts, food and plenty of drinks to help you enjoy the summer night. Ticket prices vary from ¥3,500 to ¥8,500 depending on location. The event will take place on August 11 with concerts taking place prior to the fireworks which begin at 7:30pm. While this hanabi lacks the dynamics of its larger scale competitors, it charms you with its steady ocean breeze. 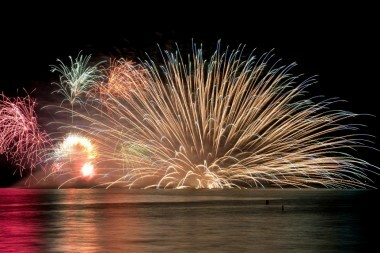 Kamakura Fireworks Festival includes an estimated 2,500 fireworks set on Yurigahama Beach. The combination of the ocean and fireworks gives visitors a calm and more relaxed experience of the traditional hanabi festival. 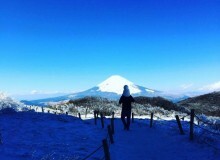 It makes a nice add-on to a day trip to the historic Kamakura Buddha or Enoshima Island. The Kamakura Fireworks Festival will be on July 24 from 7:20pm to 8:10pm. 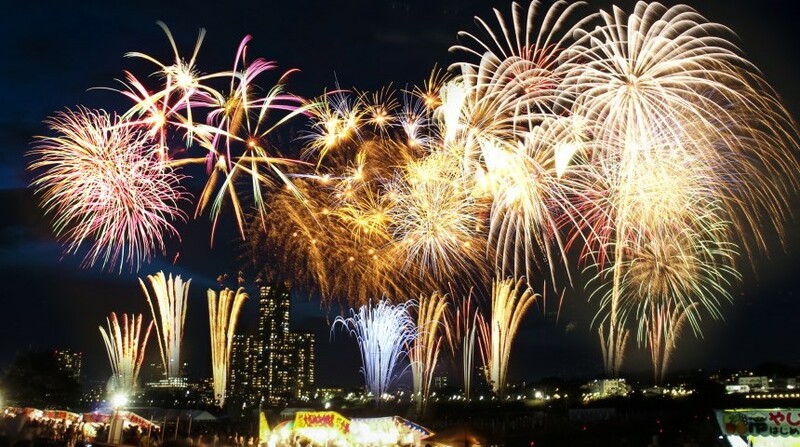 The Tamagawa Fireworks Festival celebrates its 40th anniversary this year and, for the first time ever, will take place on October 13 (rather than in August as previously done). The show is hosted in Futakotamagawa, Setagaya-ku, alongside the Tamagawa River. It will continue the tradition of changing its theme each year and starting this year will feature synchronized fireworks with the music, ushering in the fact that this is a new festival as well. Being in early fall, the event will definitely deliver a different feeling from the usual summertime hanabi.